We installed ourselves completely: from 9 to 12 a.m., we worked, then we had lunch, and at 2 p.m. we came back and spoke with friends we had met, until 8 p.m. After having dinner, we received people with whom we had fixed an appointment. 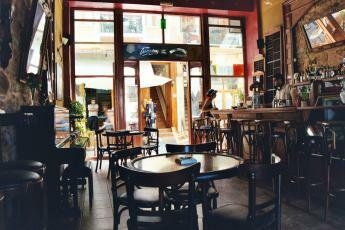 This could seem strange to you, but at this Cafe, we were at home. your writing is to …write!